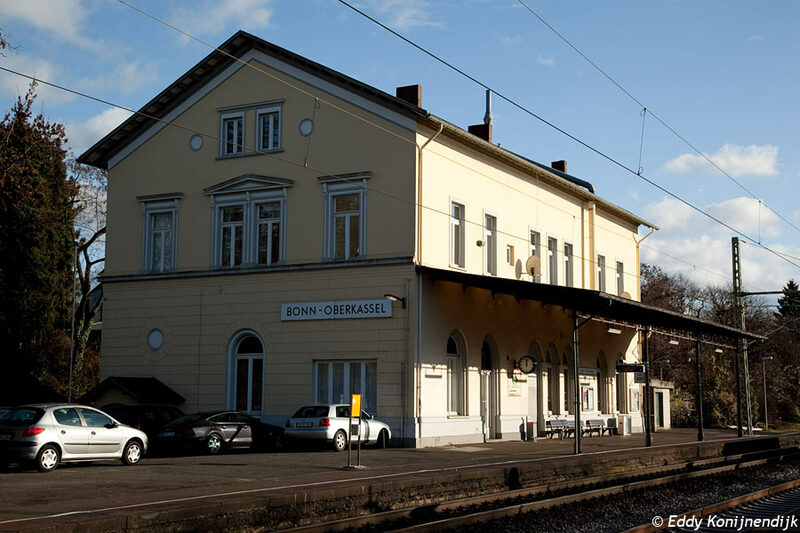 Bahnhofsgebäude Bonn-Bad Godesberg mit Bushaltestelle und Zugang zur Stadtbahn. 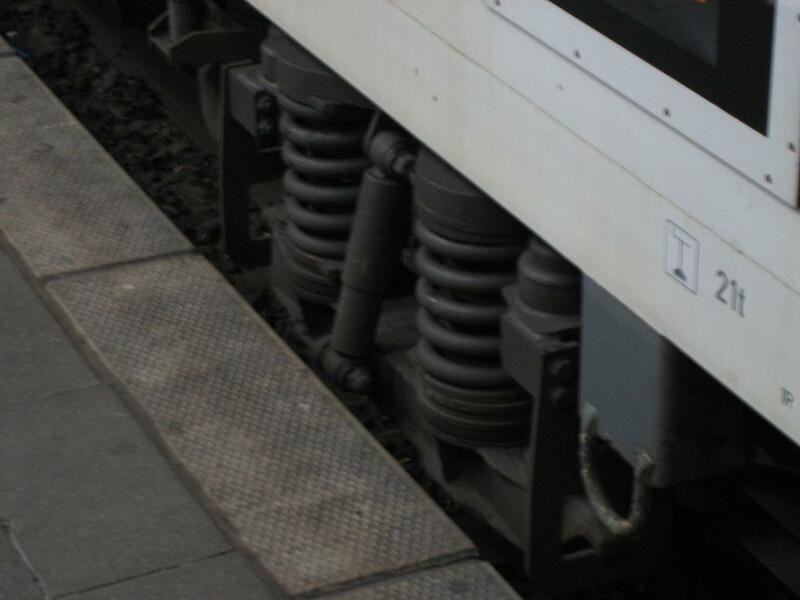 Links ist ein Teil der Bahnsteigüberdachung erkennbar. 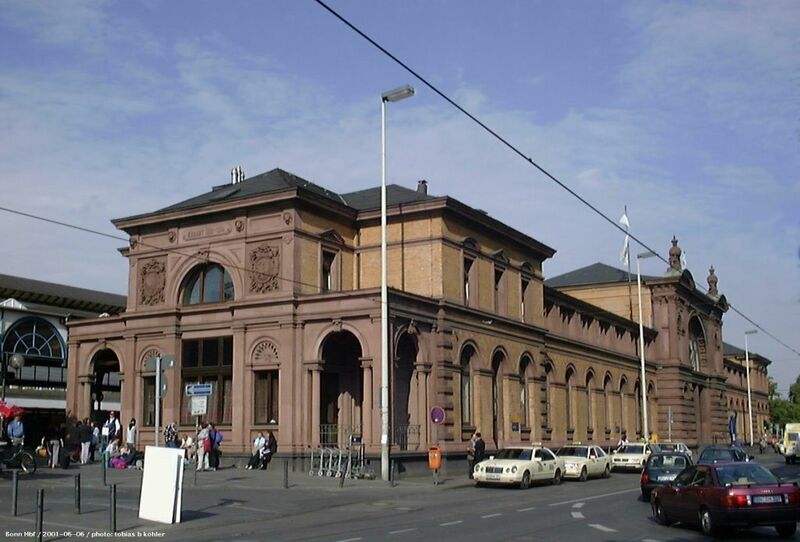 DB railway station Bonn-Oberkassel, 20-06-1998. 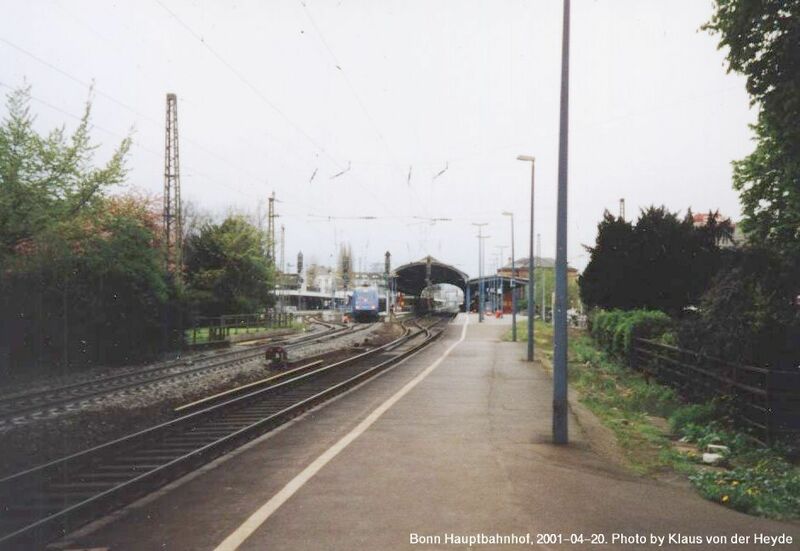 Photo and scan by E. Konijnendijk. 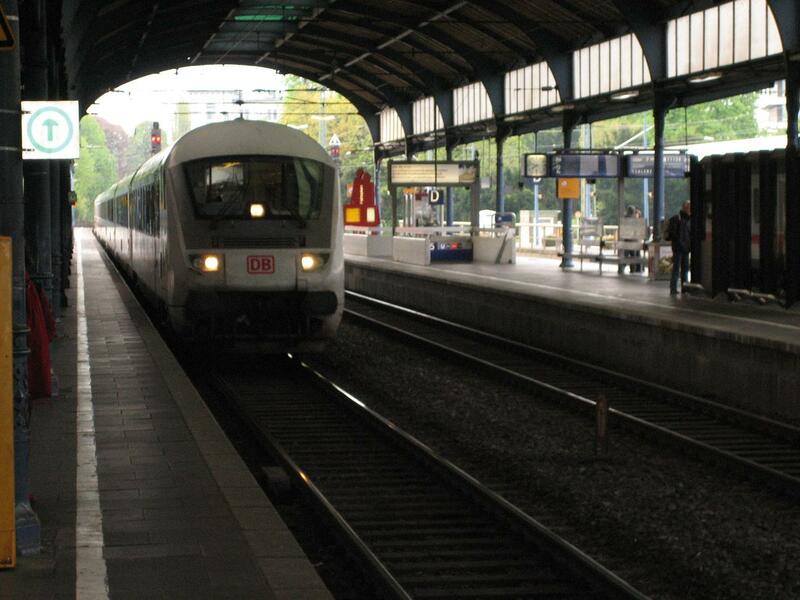 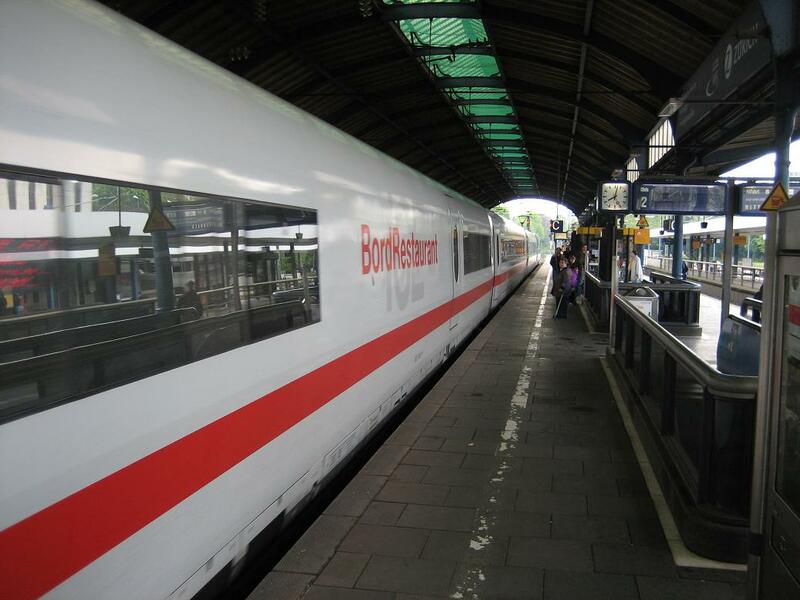 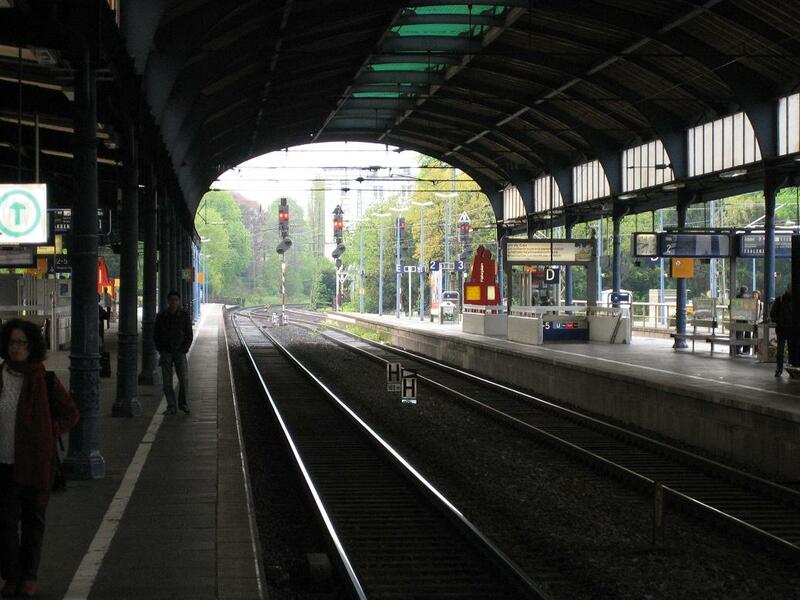 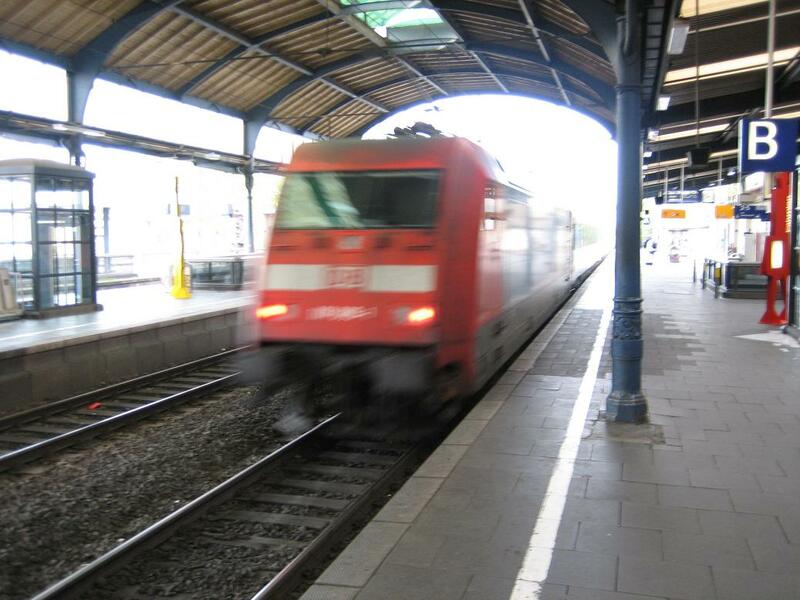 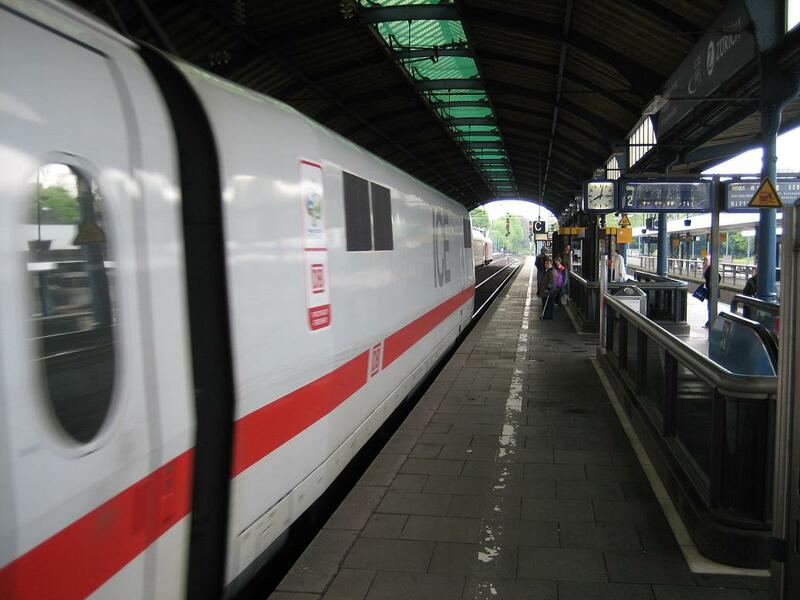 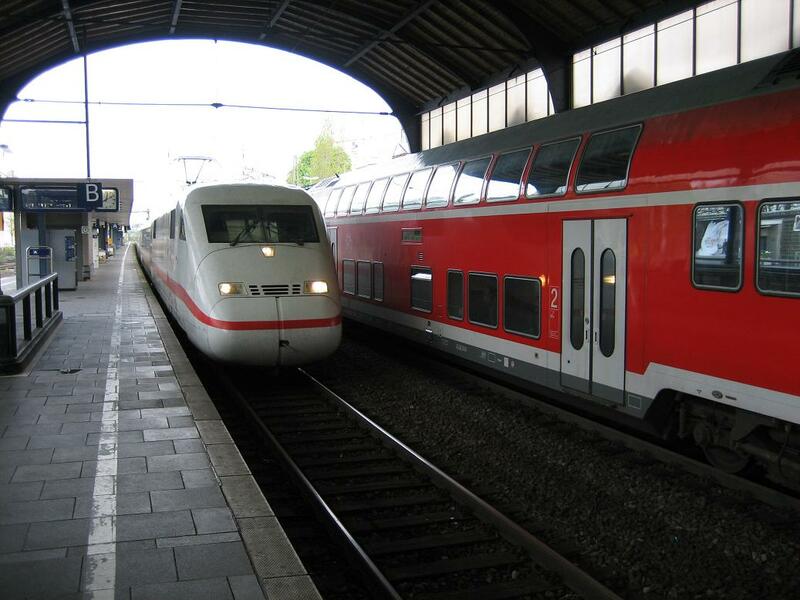 Some pics of Bonn station, Germany 2004. 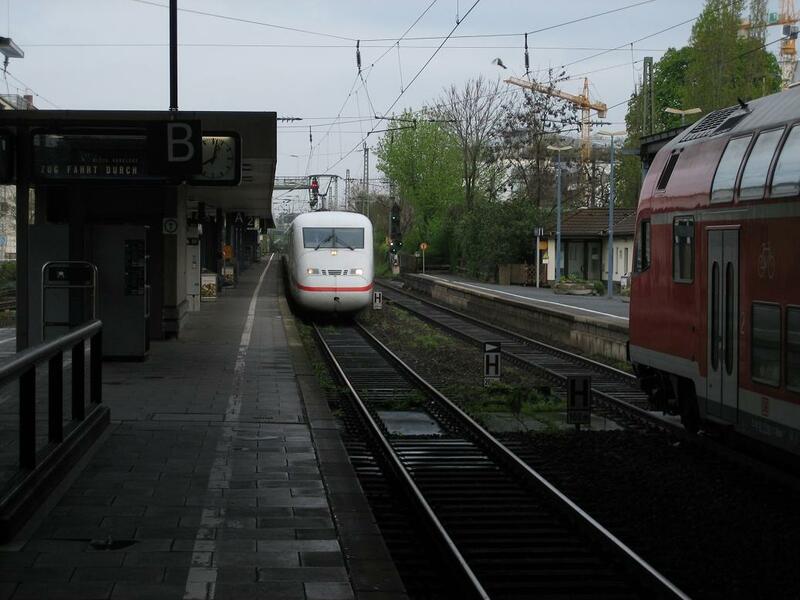 (Photo by Dr. J. van Heyst, Bonn, Germany). 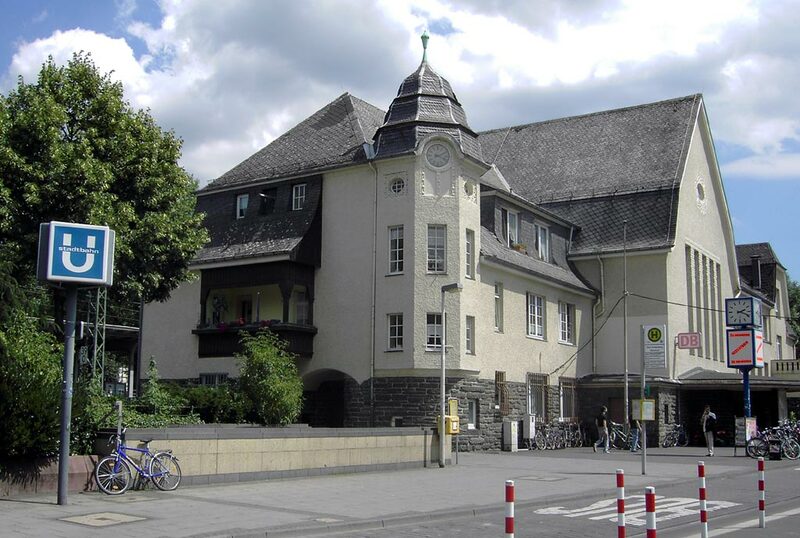 (E-mail: mrdata1968@yahoo.com). 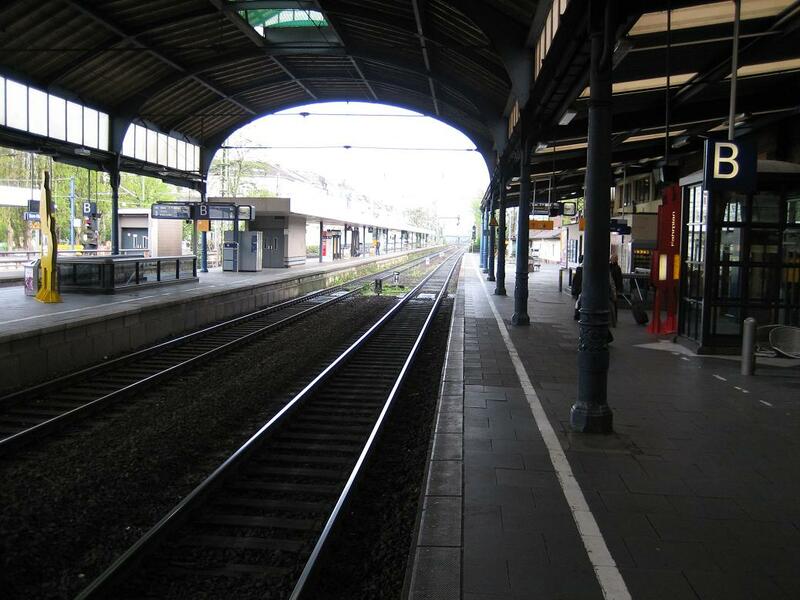 View of the platforms and all five tracks of the main station of Bonn, seen from the south end of the first platform. 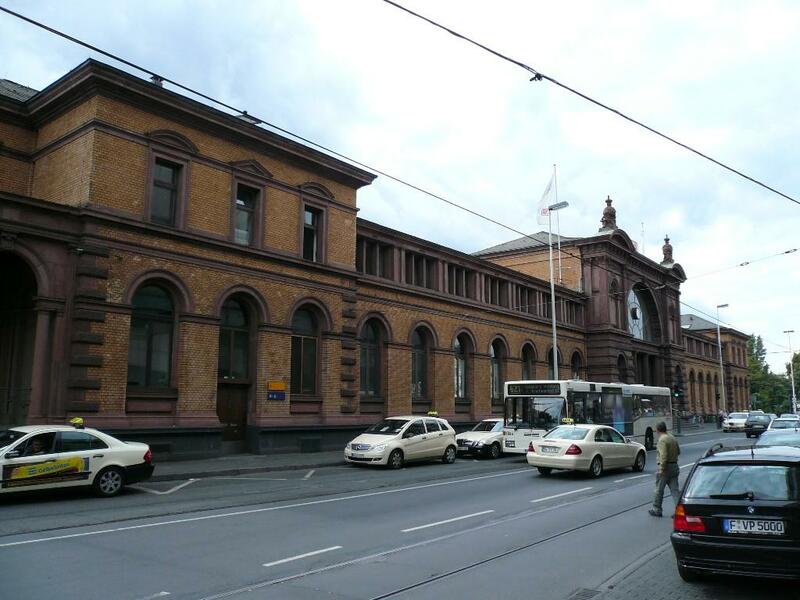 The station building can be spotted right next to the hall. Tracks are numbered 1 to 5 from the right, 1+2 usually northbound (to Köln), 3+4 southbound (to Koblenz), 5 westbound (to Euskirchen), but any track can be used for any direction if needed. 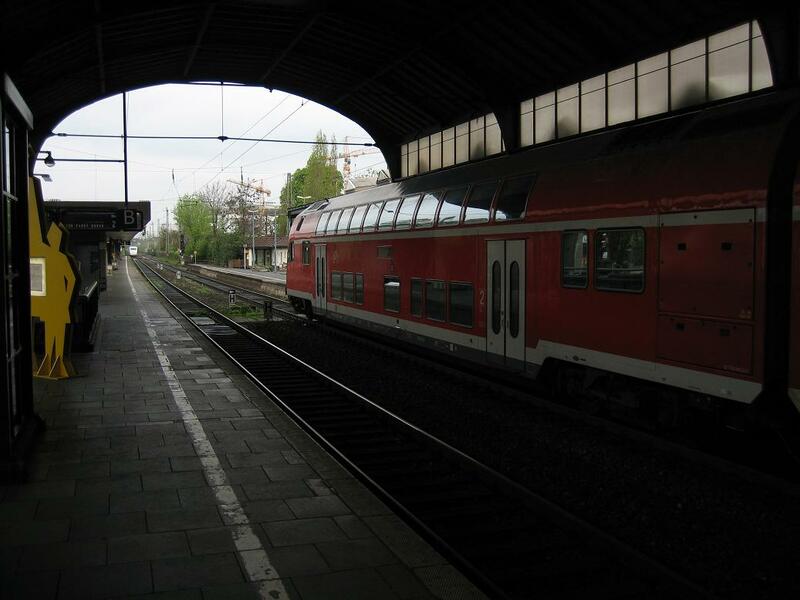 Bonn Station on 28th April 2006. 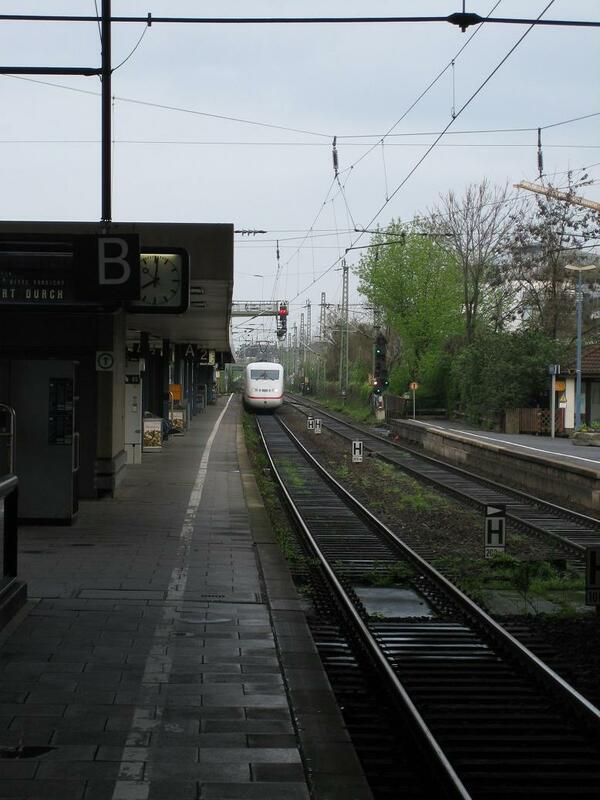 (Photo & copyright by A. van Heyst, Netherlands). 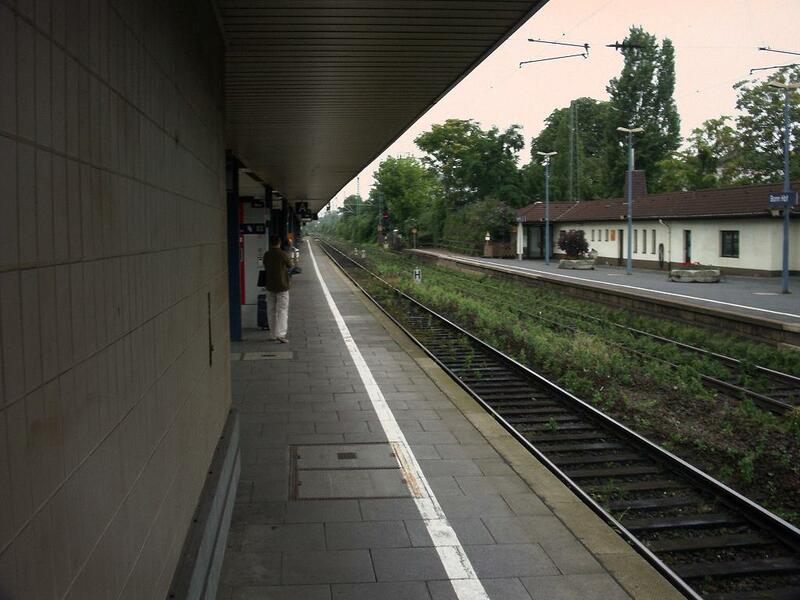 (E-mail: mrdata1968@yahoo.com). 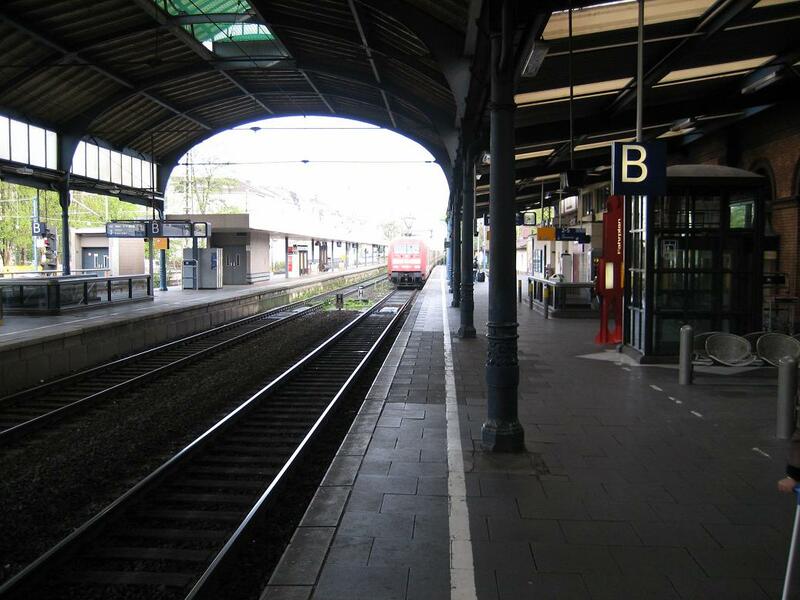 Bonn Hbf. 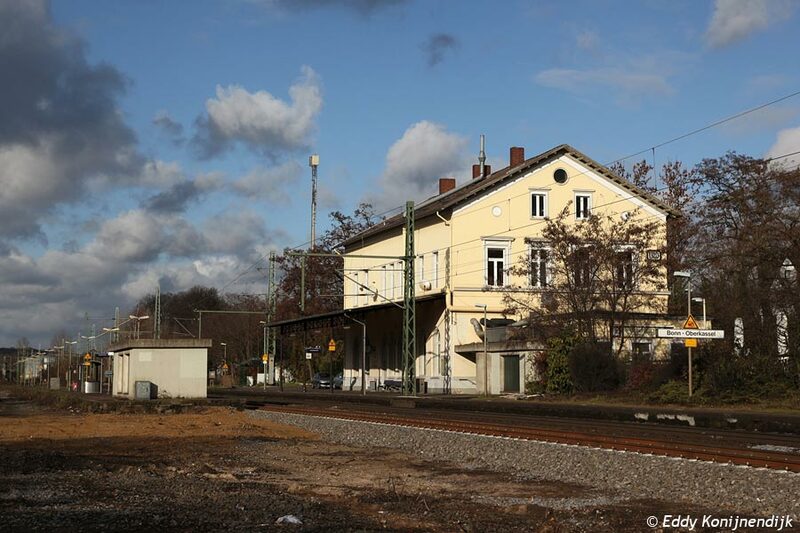 This station looks rather representative without taking too much space, which is why two companies (Faller and kibri) are offering H0 and N model kits of it. 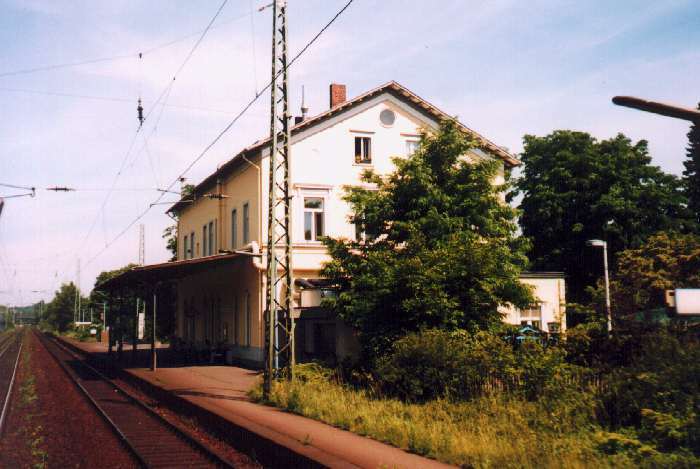 2001-06-04. 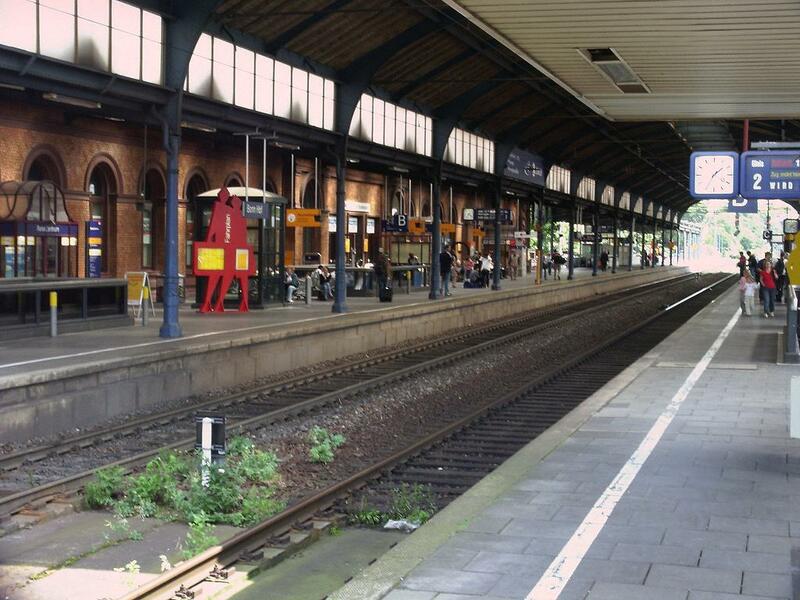 Bonn Hbf, seen from the south end. 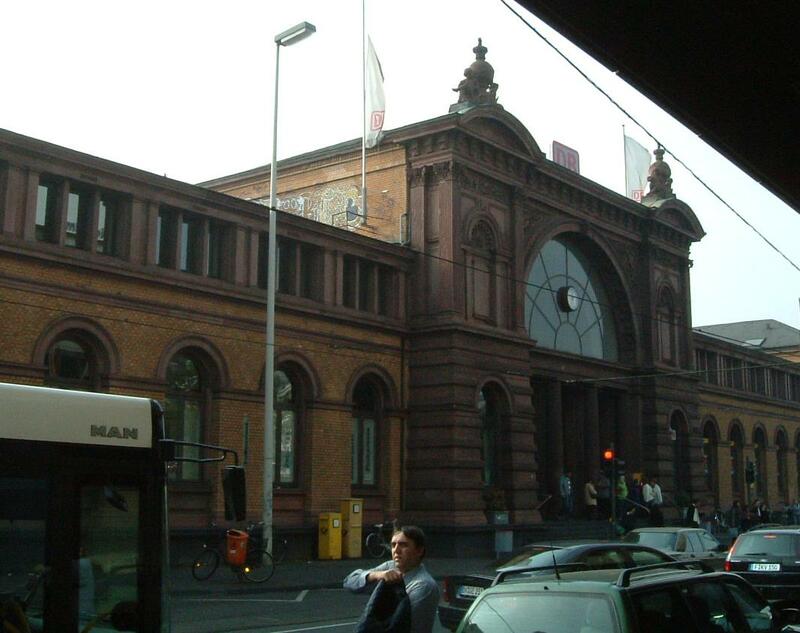 2001-06-06. 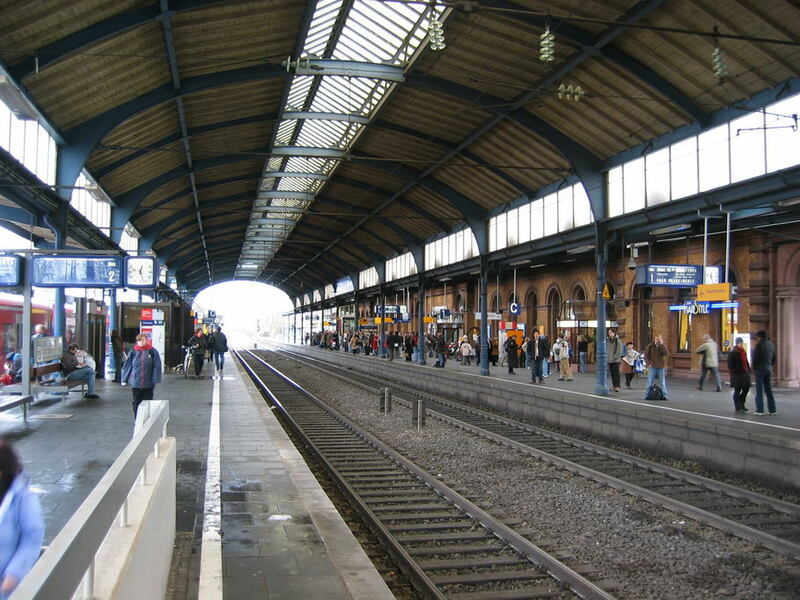 Bonn Hbf, view into the hall over track 1 and 2 from the south. 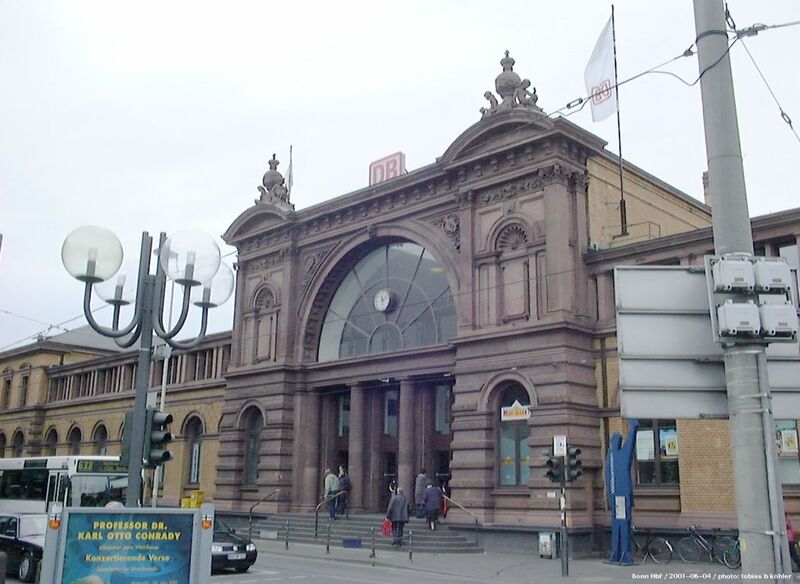 2001-06-06. 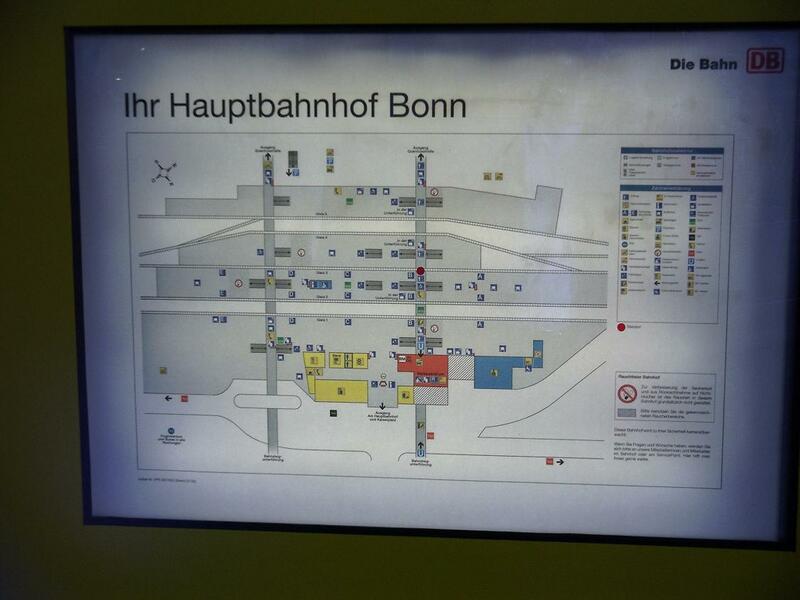 Inside Bonn Hauptbahnhof. 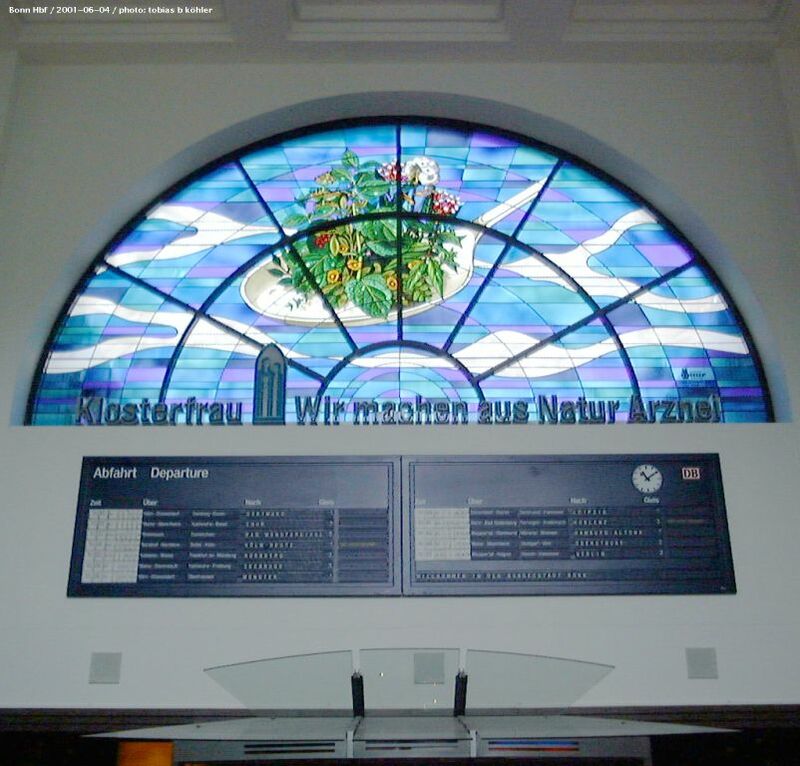 The central window on the platform side is converted into an advertising vitrail, the departure announcement display underneath is a more recent addition. 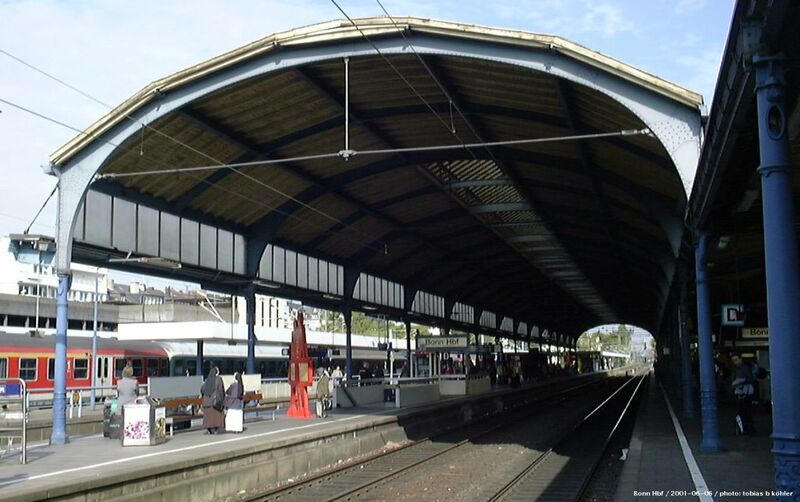 2001-06-04. Bonn Hbf, exit signals at the south end. 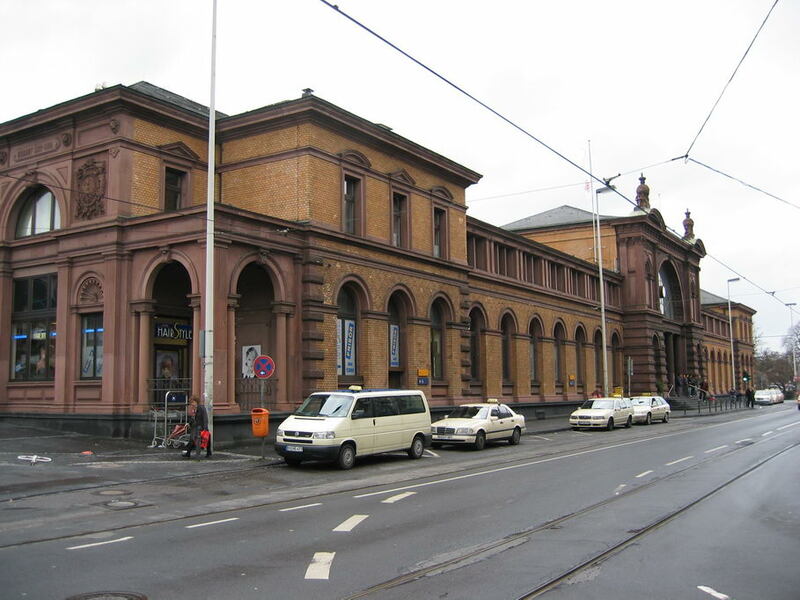 2001-06-06. 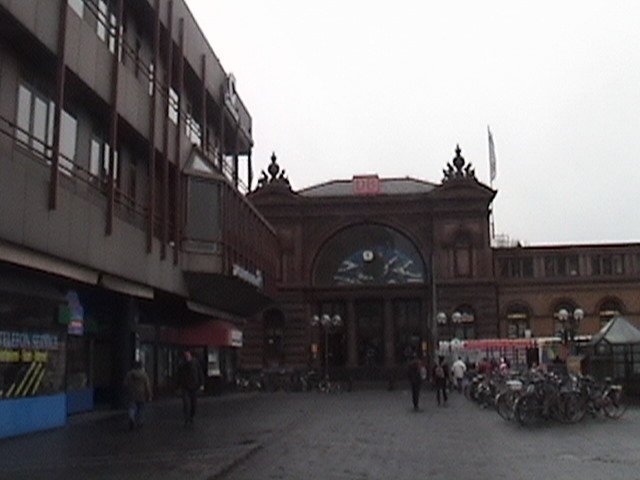 Bonn Hauptbahnhof main entrance. 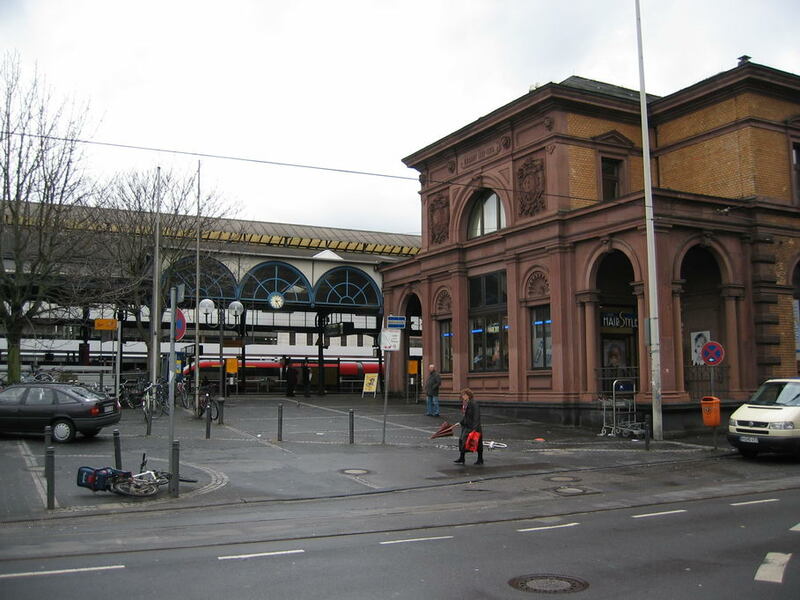 To the right and down the stairs is the entry to the U-Bahn station. 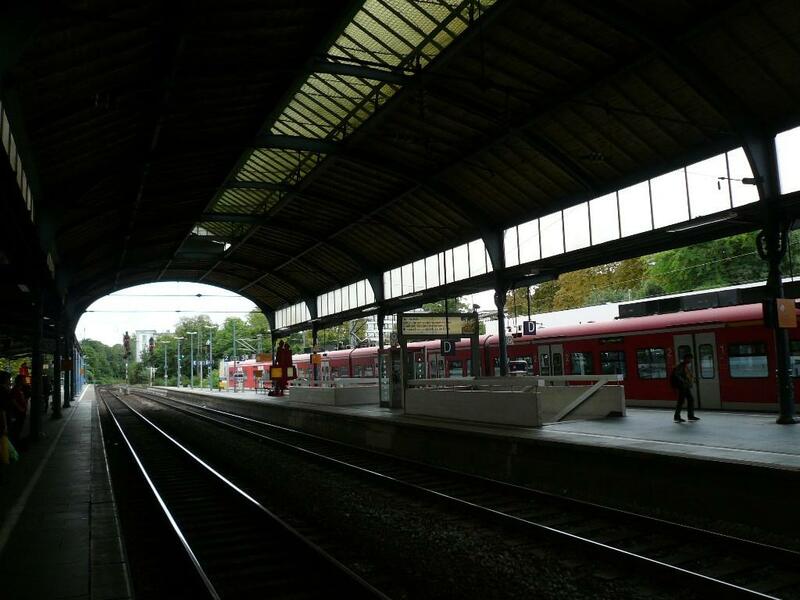 The U-Bahn station has double central platforms. 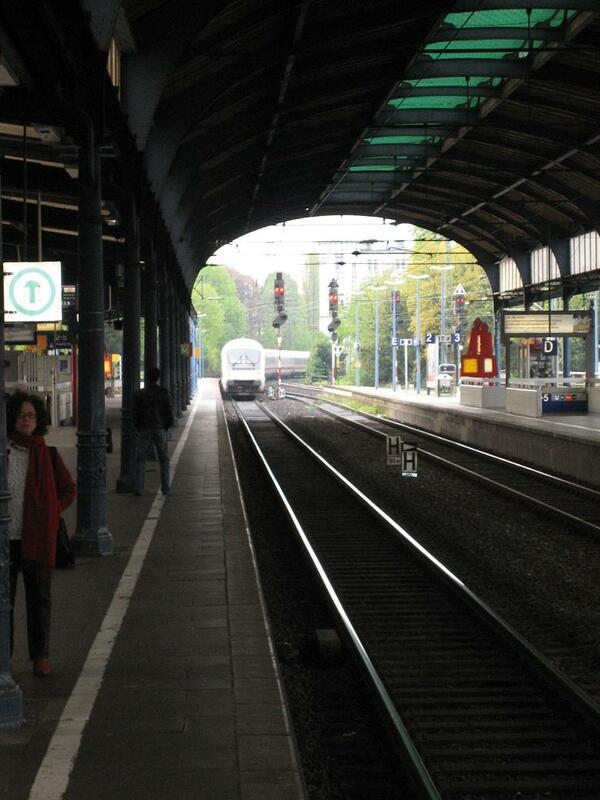 The long distance trains stop at street level. 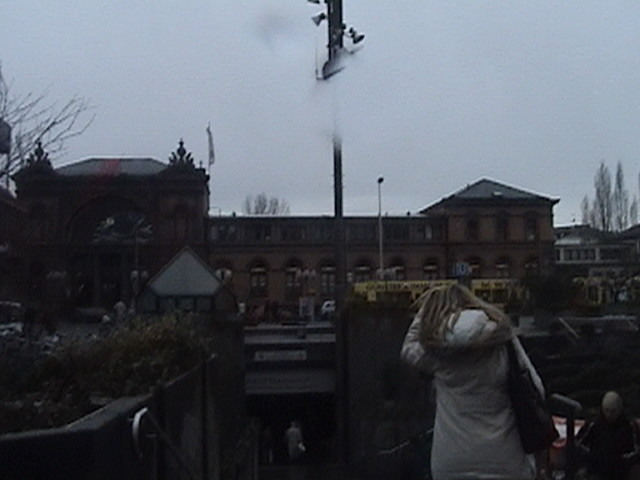 Taken Tuesday 28 February 2006. 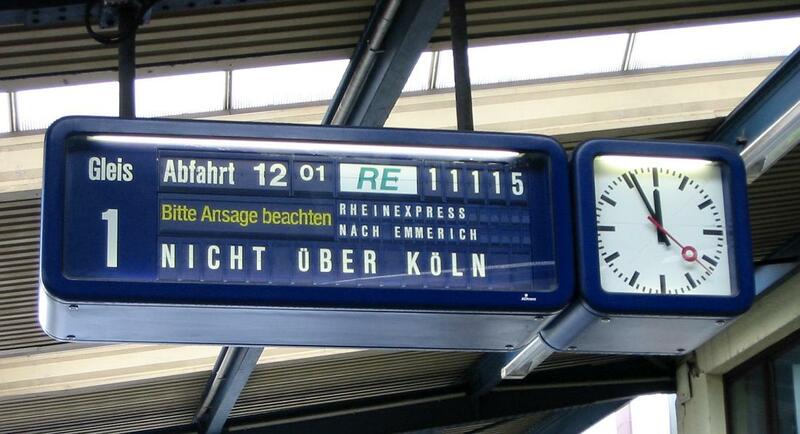 The train indicator at Bonn Hbf, announcing RE 11116 (11115 is wrong) to Emmerich on 23 May 2004. 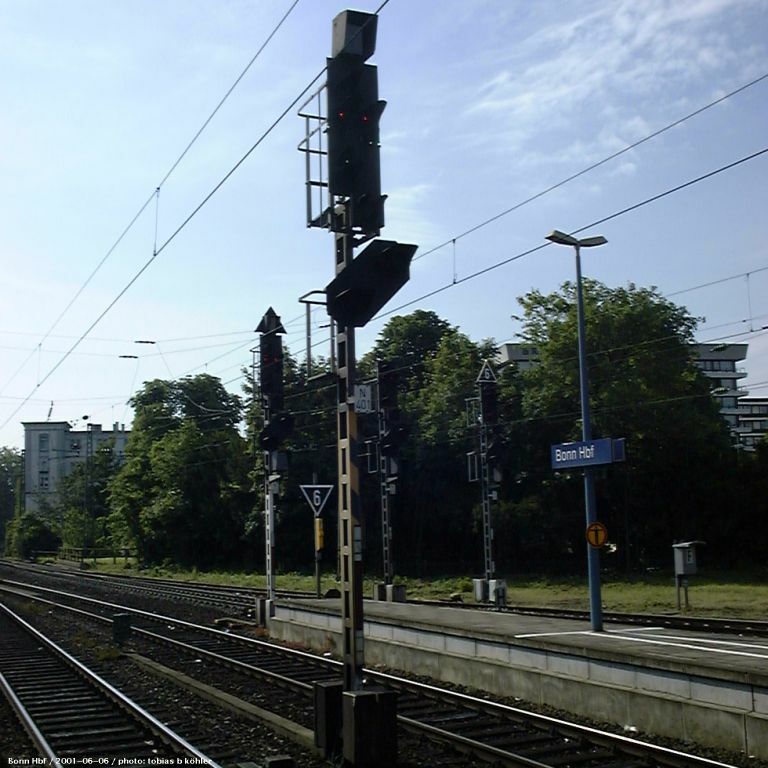 Because of construction works near Cologne main station, a lot of trains did not run via Cologne ("Nicht über Köln"), and the passengers were asked to listen to the announcements given by the loudspeakers ("Bitte Ansage beachten"), which tried to explain them how to get to their destination. 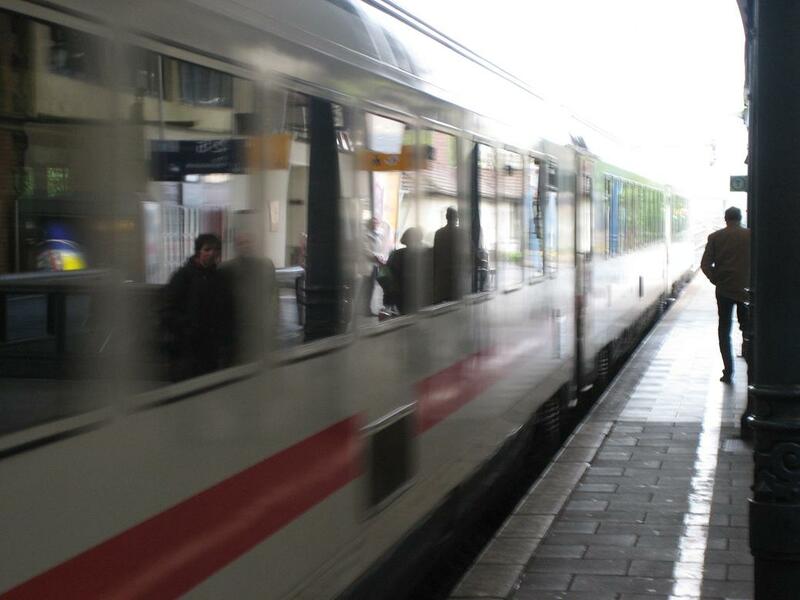 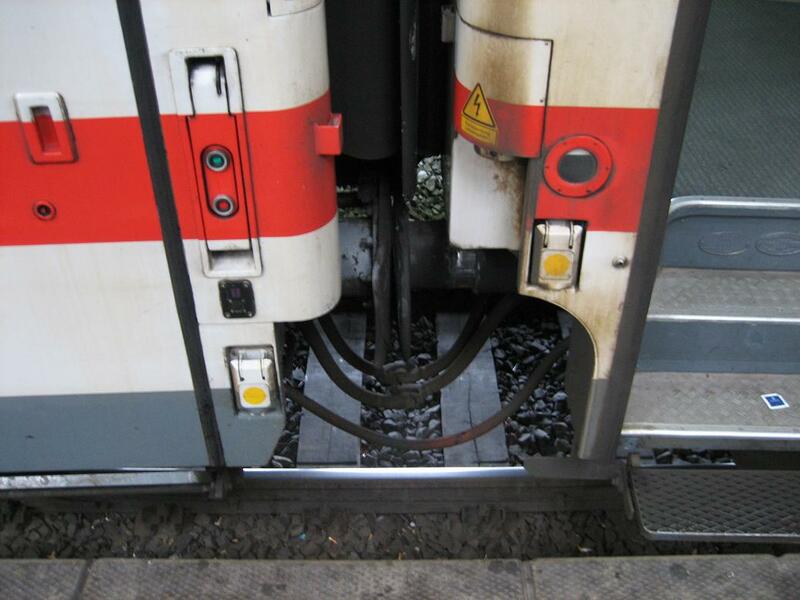 This train ran over freight tracks in the south of Cologne, with no stop between Hürth-Kalscheuren (not a normal stop of this line) and Leverkusen Mitte.